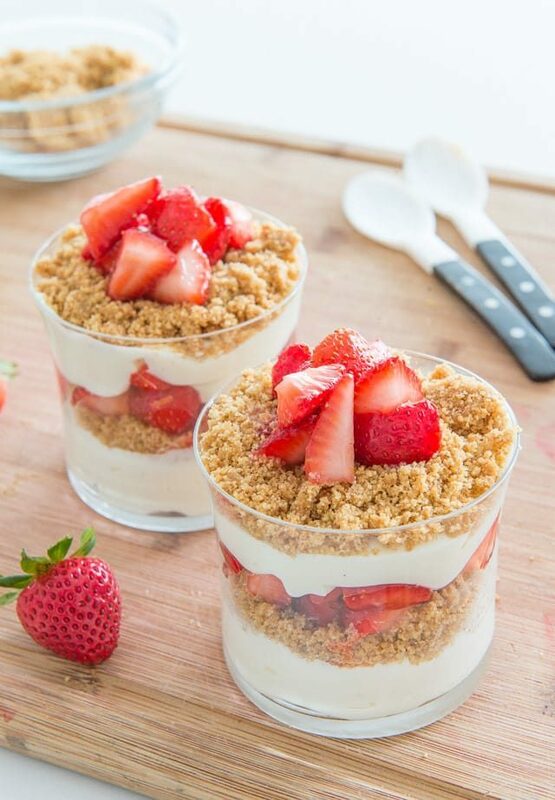 This No-Bake Strawberry Cheesecake Parfait has layers of buttery graham cracker crumbs, fresh macerated strawberries, and a creamy cheesecake filling. It’s a great travel-friendly, make-ahead dessert for sharing with friends, especially in the summer! While many desserts require baking in the oven, this is a great dessert that requires no heat at all, making it a perfect recipe to make on a hot summer day. It’s also a great dessert to make for someone, or to take to a potluck or on a picnic. When I’m making a meal for a new mom or someone who could use a meal in times of need, I’ll bring over a big dish to cover dinner, like lasagna or tex-mex chicken casserole, but I also like to bring along a dessert too. It can be nice to have a sweet treat when times are busy. 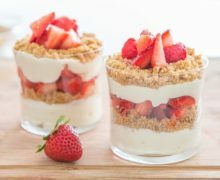 This no bake parfait has layers of buttery graham cracker crumbs, cheesecake filling, and freshly macerated strawberries, and it can be assembled in whatever container you like. They also keep very well in the fridge and stay pretty as they travel from one house to another. 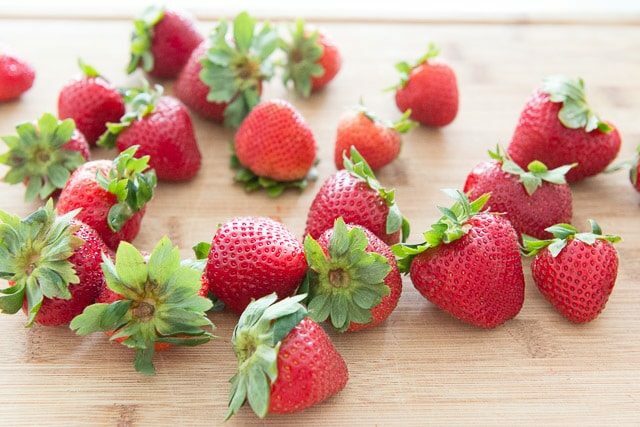 To get started, wash a pound of fresh strawberries and remove the stems. 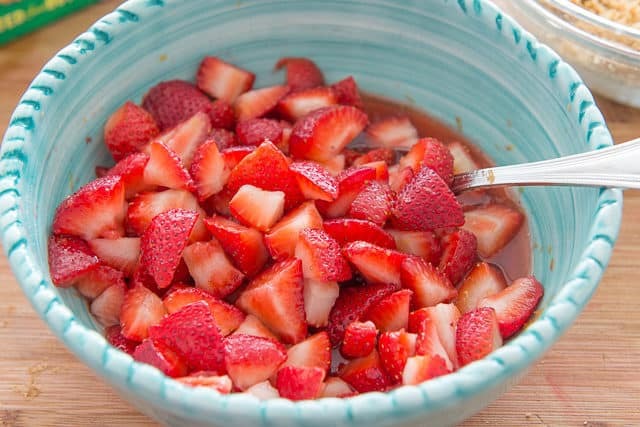 Cut the strawberries into small chunks, then place them in a bowl with sugar, lemon zest, and lemon juice. Let the strawberries sit for 15 minutes, until they have softened and released a sweet red liquid. Next we’ll make the buttery graham cracker crumbs layer, which only needs two ingredients: butter and graham crackers. 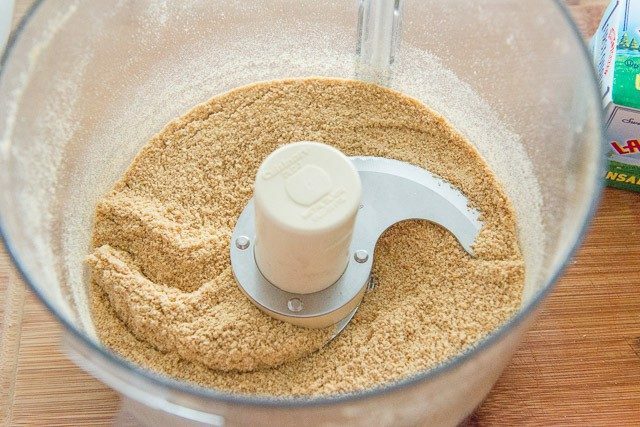 Place a sleeve of graham crackers in a food processor, and grind them up until you get fine crumbs. 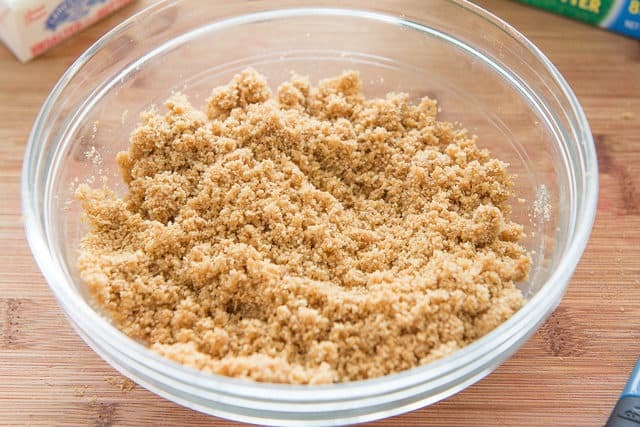 Stir together with a spatula until the graham cracker crumbs are moistened and buttery. 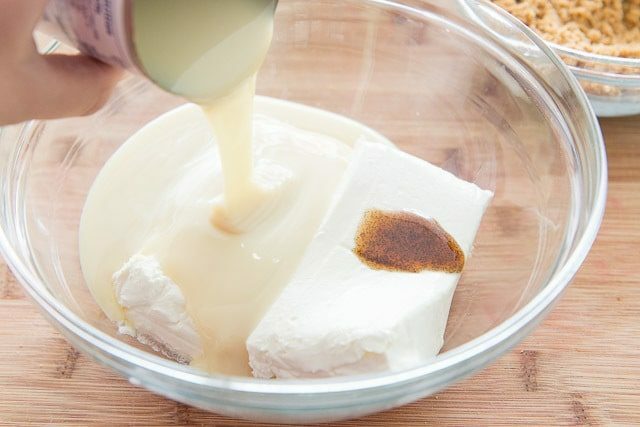 To make the last component, the cheesecake filling, combine two blocks of softened cream cheese, one can of sweetened condensed milk, and a teaspoon of vanilla paste in a bowl. Whip with a hand mixer for about a minute, until combined and smooth. 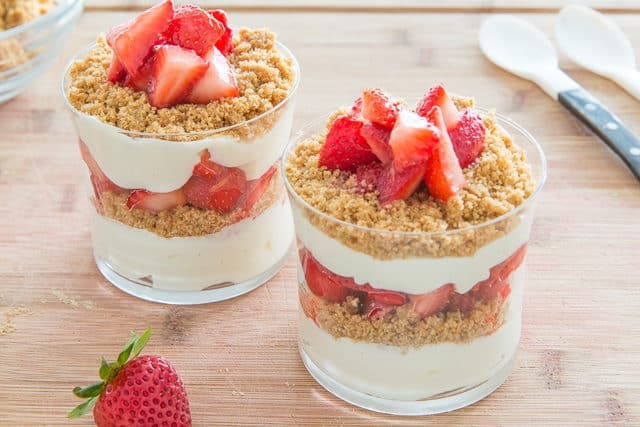 Layer the three components into glasses or your desired container, starting with a layer of the cheesecake filling, then the buttery graham cracker crumbs, and finally the strawberries. Repeat these layers once more. Chill in the refrigerator for an hour before serving, and enjoy! 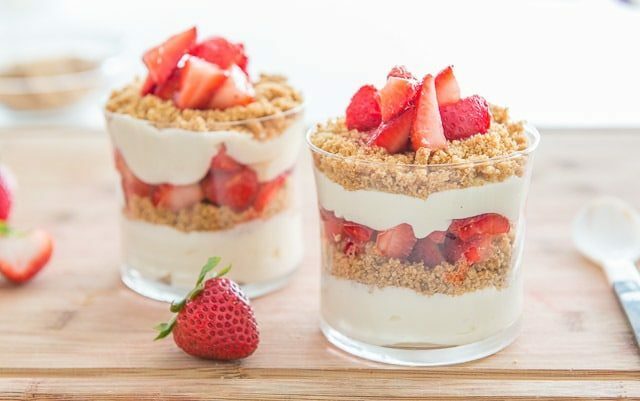 This No-Bake Summer Dessert has layers of buttery graham cracker crumbs, fresh macerated strawberries, and a creamy cheesecake filling. Remove and discard the stems from the strawberries, then cut the strawberries into bite-sized pieces. 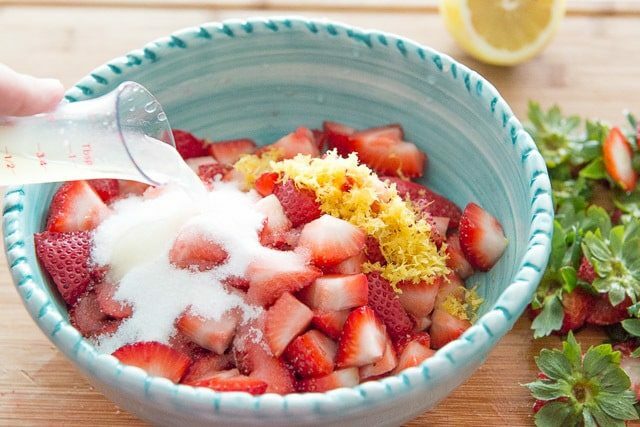 Place in a bowl with the sugar, lemon zest, and lemon juice. Stir well to combine, then let this sit for 15 minutes. In the meantime, place the graham crackers into a food processor, and pulse until ground into fine crumbs. If you don’t have a food processor, you can crush the graham crackers with a rolling pin instead. 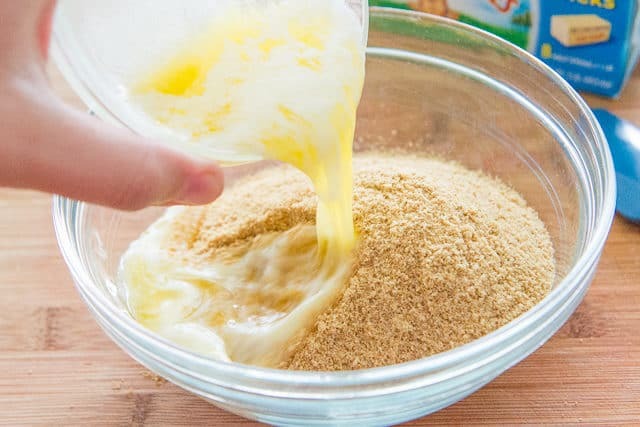 Combine the graham cracker crumbs and melted butter in a bowl, and stir until the crumbs are moistened. Set aside. 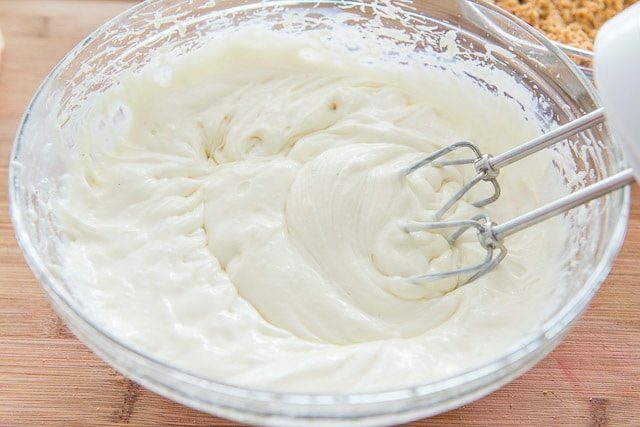 In a large bowl, whip together the cream cheese, sweetened condensed milk, and vanilla paste with a hand mixer, for about a minute on medium high speed, until the mixture is smooth and combined. To assemble the cheesecake parfaits, place a few spoonfuls of the cheesecake mixture into the bottom of a glass. Next add a layer of the buttery graham cracker crumbs. Top that with a layer of the macerated strawberries, then repeat with one more of each layer. Chill the parfaits for about an hour in the refrigerator before serving, and enjoy! The parfaits will keep in the fridge for at least 3 days. This is perfect for summer time dessert! No hot ovens needed … bonus! These look so so good!!! I love things no bake for summer! Today will be my third time using this simple but delicious recipe. Everyone loves it. This time I am doubling the ingredients to have extras. Hi Charlene, I’m so happy to hear that! This is my go-to potluck dessert to bring. It travels so well!